With former FBI Director Jim Comey having testified yet again to another congressional committee, and with former CIA Director John Brennan and former DNI James Clapper having already testified before congressional committees investigating Russian hacking and interference in the 2016 election no doubt many watching those hearings have moments where they wished they could be the ones asking the questions especially when they feel the obvious is being missed which inevitably leads to teeth gnashing and shouting at the TV screen. 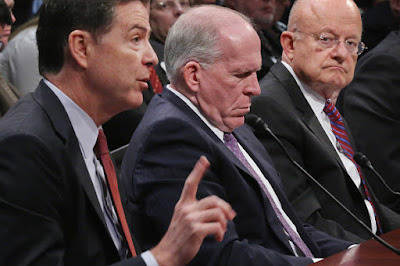 So to clear up many unanswered questions relating to the investigation into Russian interference with our democratic process, I had a number of questions to pose to former Directors Comey, Brennan and Clapper. And I present their answers here with a 100% certainty of their accuracy. Q: We hear the same generalized phrases repeatedly that the Russians interfered with our elections and democratic process and the possibility of collusion. But the primary and specific action the Russians took that is referred to as "interfering with our democratic process" was the hacking into the emails of the DNC and Clinton campaigns, then turning those emails over to Wikileaks who authenticated them and published them. Is that accurate? Q: Mr.Brennan, when you stated during your last appearance that Russia gave those emails to WikiLeaks for publication because they wanted to "denigrate" - your word - Hillary Clinton, was it the authenticity of what was in the emails, their content and what they showed that was denigrating to Hillary Clinton and her campaign? Q: Mr. Comey and Mr.Clapper, do you both agree with that assessment? Q: So just to be clear, when you or Congressman Adam Schiff or Senator Warner or anyone refers to Russian interference that "denigrated" or was "damaging to Hillary Clinton" "denigrated and damaging" refers to exposing to the public what was in those emails is that right? Q: Among the items exposed was a secret recording made during the campaign where we hear Hillary Clinton describe young Bernie Sanders voters as "baristas living in their parents basement". Based on the analysis by the intelligence agencies and those conclusions, was there any evidence that was a Russian agent imitating Hillary Clintons voice? Brennan, Clapper & Comey : No. Q: So that was actually Hillary Clinton saying that. Q: There was another leaked recording of a private closed door meeting with Clinton campaign donors where we hear Hillary Clinton's voice refer to Trump voters as "irredeemable deplorables". Any intelligence that showed that was a Russian agent imitating Hillary Clintons voice? Q: So that was really Hillary Clinton saying that? Q: There was a Podesta email published by WikiLeaks, a fragment of one of Hillary Clinton's closed door speeches to Wall Street,one of the $21 million in paid speeches she gave that she refused to make public despite calls for her to release them much like the calls for Trump to release his tax returns, and in the speech she tells Wall Street executives that at times she thinks it's necessary for her to say one thing publicly for political reasons about her policies but privately she would do something else. Did the Russians fabricate that transcript to denigrate or damage Hillary Clinton? Q: So it was genuine. Q: So Hillary Clinton actually said that to Wall Street executives in one of her closed door speeches. Q: And the email showing Donna Brazille while at CNN stole questions for an upcoming CNN presidential debate and gave them to Hillary Clinton in advance was also authentic? Q: There were DNC and Clinton campaign emails published days before the Democratic nominating convention that showed extensive collusion between Hillary Clinton, Debby Wasserman-Schultz, the DNC and many in the news media to undermine and sandbag Bernie Sanders to rig the nomination for Hillary Clinton and that Debby Wasserman-Schultz had been publicly lying about the DNC being impartial and neutral. Were those emails not only damaging to Hillary Clinton but coming before the nominating convention also beneficial to Bernie Sanders? Q: And all the polls up to that time showed Bernie Sanders beating Trump by as much as 15 points in a general election while the same polls showed Clinton's lead to be about 6 points. Brennan Clapper and Comey: Yes. Q: So based on all those polls is it fair to say Bernie Sanders was the candidate most likely to beat Trump? Q: But the intelligence report written at the behest of president Obama and made public concluded the hacking and exposing of the DNC emails which benefitted Bernie Sanders was because the Russians wanted Trump. Q: Even though Bernie Sanders was the candidate most likely to beat Trump? Q:So the hack of the DNC by the Russians was to the benefit of the candidate who was most likely to beat the candidate the intelligence report said the Russians wanted to win. Q: My time is short so I only have a few more questions. Were all the documents and emails from the Clinton campaign and DNC published by WikiLeaks that have been called damaging and denigrating to Hillary Clinton authentic? Q: So nothing was falsified or fabricated by the Russians. Q: So what Congressman Adam Schiff, Senator Mark Warner and other Democrats have said denigrated and damaged Hillary Clinton was simply the truth. Q: And so far the only hard proof of any collusion during the 2016 presidential election was collusion between the Clinton campaign, the DNC, Democratic party super delegates, Debby Wasserman-Schultz and major print and TV news organizations. Q: Finally,Mr, Comey, you recently testified that in 2016 Attorney General Loretta Lynch ordered you to stop using the word "investigation" publicly in relation to the FBI criminal investigation into Hillary Clinton's email and to use the word "matter" which dovetailed and re-enforced the Clinton campaign's use of the same word when referring to the email investigation. You testified that when you said, "Why would I do that? Its an investigation" Attorney General Lynch replied "just do it". Was that an attempt by the Obama administration and the Attorney General to politicize the FBI by having you use the Clinton campaign word "matter" instead of "investigation" to help the Clinton campaign in the 2016 election? Could that be called Obama and Attorney General Lynch using their power and position and authority to meddle and collude with the Clinton campaign during the 2016 election? My time is up. Thank you all for clearing up how the Russians and WikiLeaks interfered with our democracy and undermined our democratic process. 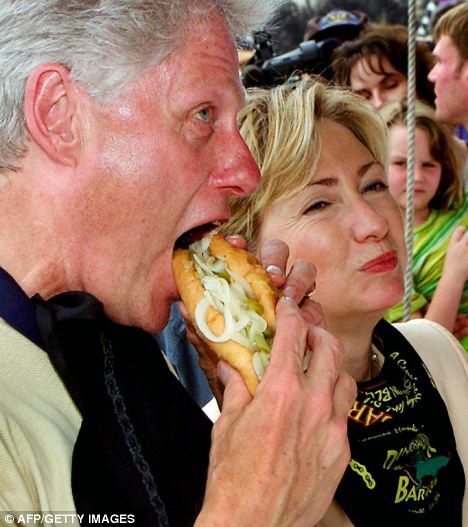 Hillary Clinton's Recipe For Nothing Burgers. While many say Hillary's Nothing Burgers don't pass the smell test, all seem to agree, serving Hillary's Nothing Burgers to your guests will have them all saying: Clinton doesn't deserve a break today. 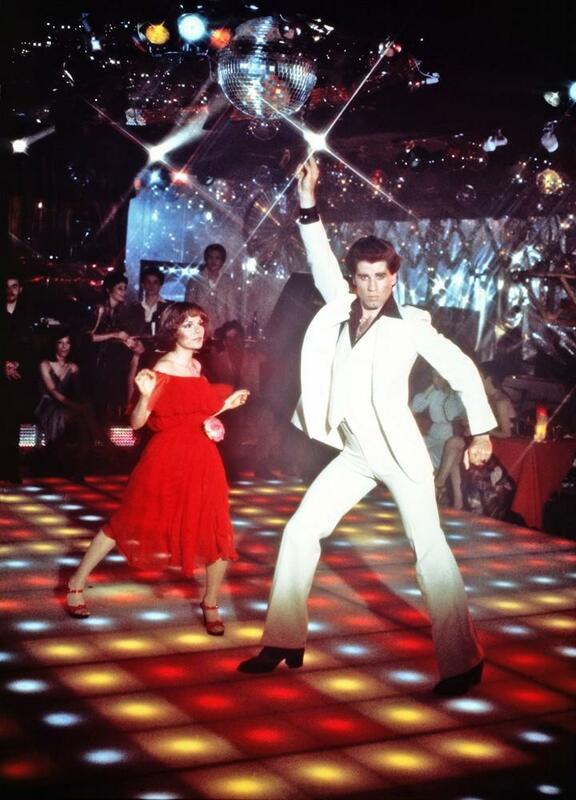 On Comey Firing, Democrats, News Media Closer To Saturday Night Fever Than Saturday Night Massacre. Everyone has seen this Democratic Party-media dance before . They've been dancing together ever since the start of the Democratic primaries when they,the DNC and Clinton campaigns colluded to sandbag Bernie Sanders to hand the nomination to Hillary Clinton and continued the dance clumsily through the general election, the email hack exposing the extent they were cheating and willing to cheat to win the trophy they wanted. In the end the prize they won was Donald Trump. They tried the same feverish dance when Sally Yates an Obama administration leftover whose days were numbered anyway as soon as Sessions was confirmed, was fired for doing her imitation of the Supremes over the 6 country immigration review executive order and Democrats and their partners in the media cried "Saturday Night Massacre" then too. 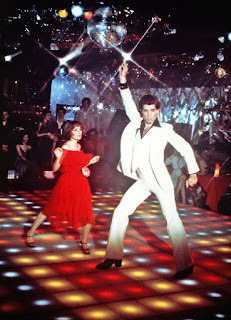 But that was also more "Saturday Night Fever". They're trying again after Jim Comey was fired largely ignoring the case made by Rod Rosenstein, the new Deputy Attorney General who wrote a lengthy letter to Trump outlining the reasons why he felt Comey needed to be replaced, especially important since it is the Deputy Attorney General who the FBI Director reports to on a regular basis and who must work closely together. Rosenstein was so critical of Comey's decision not to prosecute Clinton he made a point of writing, " I cannot support it". Neither could a lot of rank and file FBI agents. But you dont hear the name "Rosenstein" much in all this because he was appointed as a US Attorney by Obama and recommended for the job as Deputy AG by two Democratic senators from Maryland. Nevertheless, "Saturday Night Massacre!" and historically ignorant Watergate analogies has been the cry by Democrats and their usual dance partners in the media showing that, like most things they report, they have no real knowledge of Watergate or the real Saturday Night Massacre making them sound like characters in a "Peanuts" cartoon making accusations against Charlie Brown. In the wake of Jim Comey's firing Democrats continue to grasp for comparisons to Watergate and the Saturday Night Massacre every chance they get either exposing themselves as completely ignorant as to facts and circumstances related to Watergate or hoping the people they want to influence are. There is obviously no comparison to be made between the firing of Jim Comey to anything related to Watergate and Nixon's firing of a special prosecutor who was gathering evidence to use in actual criminal trials to prosecute actual crimes that had been actually committed by actual persons who had been part of the Nixon White House and as high up as the former Attorney General himself and was investigating just how far the criminal conspiracy went. Which also makes Democrats repeated calls for a special prosecutor not just embarrassingly ignorant when it comes to history but what a Special Prosecutor actually is and what they do. The only reason there was ever a special prosecutor in the first place during Watergate is because the people who would normally be charged with prosecuting those indicted for crimes at the Department of Justice were themselves many of the criminals. There was actually no one else to do the prosecuting and nothing else to do but appoint a special prosecutor. It was not possible for the Department of Justice to do the prosecuting when two Attorneys General, some of their staff and an acting Director of the FBI along with members of Nixon's White House were among the people being prosecuted. And lest the Democrats or their dance partners forget, the Special Prosecutor in Watergate was appointed by a judge -- Judge John Sirica who was presiding over the Watergate trials, not congress . Right now there is no judge to appoint a Special Prosecutor because there are no trials to preside over because there are no defendants to prosecute because there are no crimes that have been committed and no crimes even alleged. In fact no one is even investigating a crime because the current FBI investigation into the Russian email hack is a counter-intelligence investigation not a criminal investigation which would never be conducted by any prosecutor anyway no matter how special he or she was. So there is no need for a Special Prosecutor when there is nothing to prosecute. But that doesn't stop Democrats from calling for a special prosecutor anyway like "Special Prosecutor" were their first words out of their mouths when they were infants. But if Democrats want a special prosecutor which they have been been demanding for months now anyway, it was only because they said they had no faith in Comey to preside over the counter-intelligence investigation,so why are they and their dance partners complaining about replacing Comey now when Trump played the same music theyve been dancing to for months? Democrats called for Comeys firing repeatedly. Now its a "massacre".because Trump did it. So they change their tune. The idea that firing Comey would have anything to do with either interfering or impeding or shutting down the current FBI counter-intelligence investigation is as blatantly stupid as thinking that if the Board of Directors of General Motors fired the CEO they would stop making or selling cars until there was a replacement. Any journalist or politician that tries to use that as criticism or as "evidence" of hoping to impede the investigation into the Russian hack of the DNC and Podesta emails or any connection with someone in the Trump campaign, is revealing themselves to be either incredibly stupid or incredibly dishonest as the Acting Director of the FBI proved in shooting down more false headlines and stories from the Times and Washington Post that Trump fired Comey because Comey wanted more resources. For now the mock hysteria of Democrats and their dance partners in the media including a couple of paid for pea brains at CNN putting out their prearranged prefabricated opinions which is standard operating procedure for most issues at CNN, calling it the "act of a tyrant" while forgetting that president Bill Clinton had fired FBI Director William Sessions, is "Saturday Night Fever" not Saturday Night Massacre. Which makes Democrat and their media dance partners still look clumsy and out of step no matter how hard they try to impress the judges. Was the Russian Hack of the DNC and Clinton Campaign a Threat to Democracy Or Did It Expose One? The New York Times front page above tells an important story but not the one the Times hoped to tell. 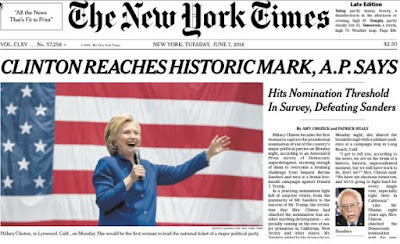 It tells a story of media collusion with the Clinton campaign and the DNC that was and is and has been the real threat to democracy. When was the last time anyone saw a banner headline in the New York Times that was simply reporting what another news organization was reporting? And what were they reporting? That a number of anonymous super delegates who called the AP in the middle of the night, no doubt at the behest of Debby Wasserman-Schultz, the night before the crucial Democratic California primary, the last big piece in a primary battle where Bernie Sanders had already won 23 states and by landslide numbers, to say they would vote for Hillary Clinton at the Democratic convention to give her enough super delegate votes to win the nomination. Even though those anonymous "declarations" at the time didnt actually count as votes and there was no guarantee they ever would. The message intended for Sanders voters by Clinton,the DNC and the media sending the message was clear: don't bother to show up tomorrow.No reason to vote. It's all over. It was not just dishonest dirty politics,it was false and its distinct purpose was to undermine our democracy and the single most important component of it -- the vote -- for the benefit of Hillary Clinton helped by a cabal of news organizations who for their own purposes were in on the collusion. Everything Democrats have tried to accuse the Trump campaign of doing without any proof or evidence, that there was collusion with Russia to undermine the election, was true of the Democrats, Clinton and a dishonest news media. It was the equivalent of the Democrats', the DNC, Clinton campaign and news media colluding to pull off a Putsch -- a German word for the kind of middle of the night power grab that happened in Germany in the 1930's -- collusion to rig the nomination for Hillary Clinton and supress the vote for Bernie Sanders. And they did it with the help of a dishonest news media, the DNC and the unethical use of super delegates which the media also aided and abetted. Unethical because never in the history of the Democratic party has even one super delegate ever voiced a preference before the last primary was over, yet they began announcing preferences at the behest of Debby Wasserman-Schultz, to selected media outlets anonymously back in February who then included and counted the superdelegates,whose declarations didnt count along with pledged delegate totals to try to blunt the effect of landslide victories by Sanders over Clinton. And to also give the false impression that Clinton had an insurmountable lead. Friendly to Clinton news media outlets like CNN and MSNBC included those "declarations" without even verifying them and added them to the raw totals of pledge delegates won in primaries, the only delegates that actually counted at the time. Super delegates hadnt voted to decide a nominee in 32 years. And there was no indication they would this time when their anonymous "intentions" were added to thepledged delegates won in primaries. It was all designed to help rig the nomination for Hillary Clinton with the help of a Soviet style Pravda-like news media. They eventually succeeded when it came to the nomination. They tried it in the general election and failed. After Clinton lost the election, the Democrats refrain or excuse, was that somehow the Russian email hack and subsequent publishing of those emails by Wikileaks was why Clinton lost. But all those emails did was expose the real fraud, rigging,deceit,rigging and collusion between the DNC,Clinton and her campaign and many in the mass media. What the emails partially exposed was the real undermining of democracy. But Democrats tried to make the issue focus on who exposed it instead of what was exposed. It was almost like a burglar breaking into a house and discovering a man beating his wife, reporting it to the police and the abuser trying to make the case that everyone should ignore what the burglar saw because he was a burglar doing something illegal and had no business being in his house. The Russians had no business hacking the DNC and Clinton emails but what they found was domestic political abuse being committed by Clinton, the DNC and media outlets. While the consensus of the intelligence agencies said that it was the Russians who hacked the DNC and Clinton campaign emails, then turned them over to Wikileaks, what Adam Schiff, the Democrats' spin merchant on the Intelligence Committee keeps trying to do using the Democrats predetermined strategy of hoping to bury what the emails exposed with over-generalized and even blatantly false language like "the Russian hack of the election" (they didnt "hack" the election which insinuates hacking actual vote) is try to shift the focus away from the content of those emails and the truth that they exposed and focus on who exposed it. They get some help from anti-Russian Republican hawks. Any damage to Democrats, the DNC and the Clinton campaign as a result of those emails being made public was damage they did to themselves because of what those emails contained, not who exposed them. So when you hear words like "Russian interference in our election that was damaging and denigrating to Hillary Clinton" what was "damaging and denigrating" to Hillary Clinton and the Democratic party was exposing the truth about what they were doing. And what was exposed was emails showing Debby Wasserman-Schultz lying about her role and DNC collusion, doing everything she could to rig the nomination for Clinton, evidence of fraud in the results of the New York State primary, Donna Brazile feeding CNN presidential debate questions in advance to Clinton then lying about it,emails and transcripts exposing Clinton admitting in a closed door speech that she says one thing publicly about policy but privately intends on doing something else, Democratic super delegates colluding to rig the nomination for Clinton regardless of the vote, colluding to suppress the Sanders vote and his fund raising ability, and a lot more. None of which has anything to do with the Russians. The Russians, assuming they were the guilty party in the email hack,saw things that made their eyes light up and just exposed to the public through Wikileaks, what they found. Though using the word "damaging to Hillary Clinton" is a little disengenous considering she began with the worst unfavorable ratings of any presidential candidate in history and polls showed 65% of the American people believed she was dishonest and untrustworthy. The other false premise Democrats and the media have tried to push to both save face and continue the same deceit is that the email hack was done specifically to help Trump get elected. The argument is provably preposterous on many levels. And in the future could get some officials in legal trouble for inserting false information into an intelligence report. First, given there were 20,000 emails from the DNC alone and another 20,000 0f Clinton campaign emails and that the Russians would have had to read them first and then give them to Wikileaks who would also have to read them and authenticate them, and given when they were released, days before the Democratic National convention ( timing the Russians had no control over) the timeline indicates the hack of the DNC first occurred sometime in February but no later than March,months before Trump won the nomination and months before he was even being taken seriously. At the time of the first Russian hack and handing over the emails to Wikileaks most people including Republicans and almost every media outlet were mocking the idea that Trump was even running much less that he would win the nomination. So that it was done to specifically help Trump win is clearly false. The other fact that proves it false is that the first batch of emails were released right before the Democratic convention, before Clinton was officially nominated. If anything those emails and what they exposed were to the benefit of Bernie Sanders, showing how Clinton and the DNC they were virtually cheating him and his voters and were trying to rig the system for Clinton. There was no way to know what affect those emails would have on the nominating process since neither candidate had won enough pledged delegates to secure the nomination so superdelegates were going to decide who it would be. And as every poll showed, Sanders was the candidate mostly likely to beat Trump, consistently beating Trump by 15 points, a much bigger margin than Clinton. So idea that the Russians wanted Trump and colluded with the Trump campaign to win but released emails that would benefit the candidate most likely to beat Trump is as ludicrous and dishonest as every other argument that has been made and in some cases is still being made regarding Trump campaign collusion with Russia for which there hasnt been a shred of evidence. Democrats and their allies have continued to deflect those facts with dishonest, distorted and overly exaggerated language like "a Russian attack on our democratic institutions". Hillary Clinton and her presidential campaign were not "one of our democratic institutions". People like playing the "imagine if the roles were reversed" game and often its a good way to get to the truth. And if the roles were reversed and an email hack by any foreign government, or even domestically, exposed the kind of lies, deceit, fraud, collusion and the rigging of the democratic nominating and election process by the GOP to help the Trump campaign despite public statements to the contrary and in collusion with friendly but corrupt media outlets trying to help rig the general election for Trump,one can imagine Democrats while admitting the hack illegal, praising the exposure as helping to save the democratic process and that we should all be grateful. And they would be right. We all should be grateful for what the emails exposed. Had those DNC and Clinton campaign emails revealed paragons of honesty and truth protecting our democratic ideals and processes, had they shown Clinton and Democrats to be pillars of integrity instead of the opposite, the Russians would have had nothing to show for their hack. But what they found didn't disappoint. That the Democrats would rig a nomination for a candidate with the highest unfavorable rating in history and a candidate who 65% said was dishonest and untrustworthy is something Democrats cant blame on the Russians. That has a lot more in common with Groucho Marx than Karl Marx. In an answer to a question by Rep (D) Denny Heck of Washington State during the House Intelligence Committee hearings in exploring unproven ties between the Trump campaign Director of the NSA, Admiral Mike Rogers said that what is most important and inherent to democracy is to preserve the choice of the voters. To that end Rep. Heck who comes from a state whose voters in the Democratic primary voted for Bernie Sanders to be the nominee 80-20 over Hillary Clinton but as a super delegate voted for Hillary Clinton to follow the corrupt party line, as did Al Franken in Minnesota and both senators from Washington state as well as all super delegates in states Sanders won by landslide numbers, all of them did more to undermine our democratic processes and institutions by not preserving the choice of the voters and doing what the party ordered, than Vladimir Putin and the Russians could ever do.